The wheels are still spinning outside the CACSP Art Gallery in Tulista Park on Tuesday mornings; gathering attention from lots of tourists and locals passing by. 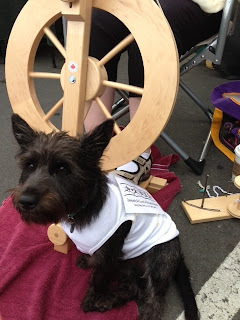 The DCWS Guild will be wrapping up the “spinning in the park” on September 3rd. The DCWS have been busy in the community this summer. We were seen at the Thursday Night Market in Sidney at a booth with our CACSP friends and pets. It seems ‘Spike” was also interested in the wheel. We were pleased to be part of the scene at the North Saanich Farm Market on August 3rd and again as a “Flavour Trail” participant August 24th. 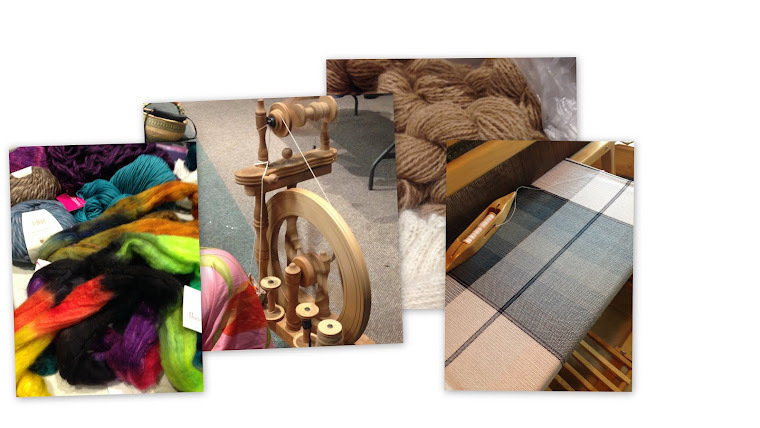 A very enjoyable morning was spent listening to the music in the background as we demonstrated spinning, weaving and needle felting techniques. This was a good warm up for the upcoming Saanich Fall Fair, where we will be doing more of the same on Sunday September 1st. Some of our members attended the activities at ‘Fibrations’. 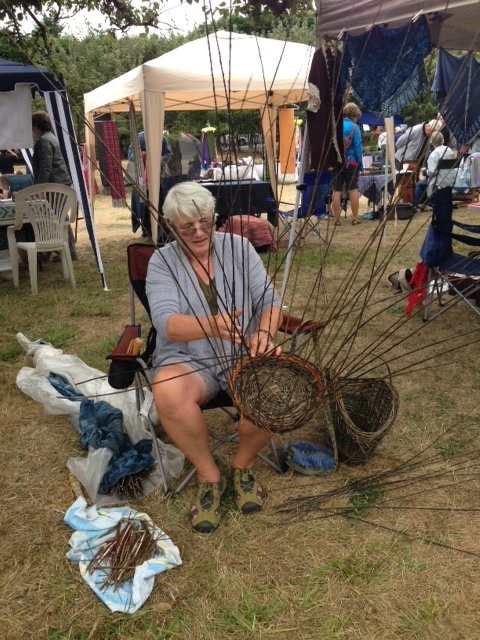 Weavers use all sorts of fibres and produce interesting shapes. Check out the “Events & News” page on this website to see what’s happening in our Community and at the Guild. September 10th is our first Fall Guild meeting where we are looking forward to a big “Show & Tell” of Fall Fair entries and Summer Challenge projects. This is also membership renewal day and a good opportunity for those interested in the Guild to come and see what we are all about.